Mercedes Benz introduced a monster stylish and classy economical fuel consumption vehicle with a turbocharged engine and a direct injection. A well designed and execrised heart drive system with 4 cylinder petrol and diesel engines. From one gear to another without any interruptions with optional dual clutch transmission 7G-DCT. Mercedes Benz – brings the future of motoring on the faster with efficient vehicles and production process that wastes fewer and fewer resouces. Its blue technology engine reduces the nitrogen oxides in the exhaust gases by up to 90%, while the natural-gas drive NGT drastically reducess emissions and fuel costs. 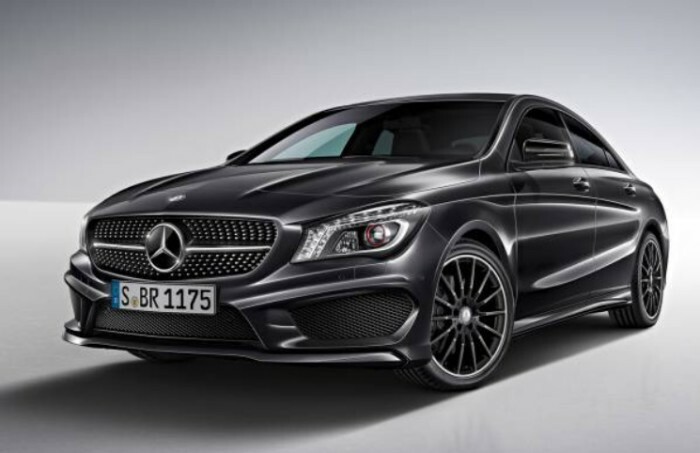 The sportiness of the car is as far as the eye can see; the AMG front apron with black flics and the AMG radiator grille with a twin louvre move impressively into the field of vision. Elements painted grey titanium grey matt in the front and rear apron plus side sill panels lend the dynamic design of the vehicle. The pronounced arrow-shaped front section and expressive radiator grille give the A-Class both an air of self-confidence and a decidedly energetic look. The flanks, with two striking structural lines, and the powerfully muscular rear wings give a feeling of forwards thrust even when the car is at a standstill.The coupé-like side line with the curved roof, beltline rising towards the rear and long, narrow, glass area emphasises the sporty appearance of the new A-Class. The B-pillar is covered by the “frame under glass” design of the door.The distinctly wide rear end with horizontal structuring exudes power and athleticism. This is thanks to the bicolour tail lamps, which extend well into the sides of the vehicle. At night an innovative lighting design gives the new A-Class an exciting aura. This is an ultimate vehicle for a well rounded personality as it speaks volumes.